Percy Tau’s Royale Union Saint-Gilloise had been hoping to land a spot in next year’s UEFA Europa League, but now they’ve had to pull out of the running to qualify. RUSG are currently flying in the Belgian Playoffs II – with three wins in three games – as they battle it out for a spot in the UEL, and as things stand are on track to win their group and play in the final for a place in the competition. Now, though, it has been confirmed that Tau’s side – even if they win their group – will not play in the final because they don’t have the required club status to play in an elite tournament like the UEL. 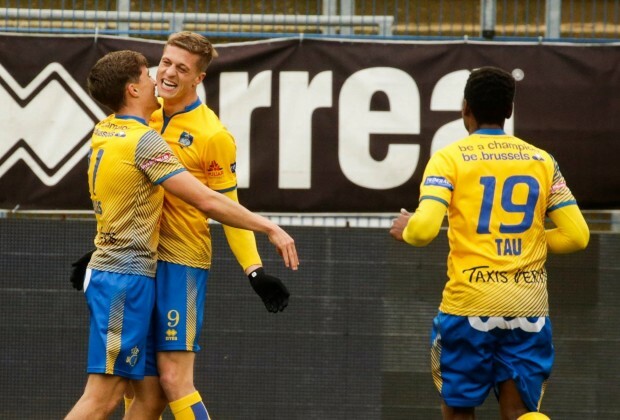 “Royale Union Saint-Gilloise has introduced a file based on the European License for the 2019-2020 season and has made every effort to obtain this license. “To compensate for the infrastructure, which does not meet European standards, we had an agreement to use the King Baudouin Stadium, but the criteria for youth training did not meet UEFA expectations. Teams wishing to participate in European competitions must have an ELITE Label, which is not the case for our Club. “Our age teams are currently playing in the IRIS League, but the Union Saint-Gilloise has invested and worked hard to obtain this Label for the 2019-2020 season, which will be requested at the end of the month so that our youth teams can evolve in Elite from the season 2019-2020. To summarise, RUSG do not meet the standards required to play in the UEL, so if they win their group in the Playoffs II then it will be second place that goes on to play in the final for a spot in Europe’s second-tier continental tournament. Tau, who is on loan from Brighton & Hove Albion, is expected to return to action for his club against Kortrijk this weekend after the Bafana Bafana star was left out of the last two squads due to a minor strain.